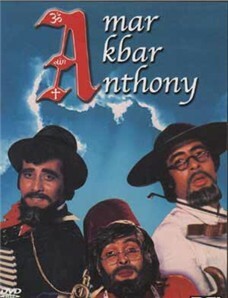 Amar Akbar Anthony was one of the most complete albums of the 70s. In fact, it ranks as one of the best Laxmikant-Pyarelal album. The biggest asset of Amar Akbar Anthony album is that it’s an album for the masses. From the massy Amar Akbar Anthony, to the full of life qawaali Pardah Hai Pardah, to the wonderful devotion Shirdi Wale Sai Baba, to the situational Tayyab Ali Pyar Ka Dushman, to the energetic rip-roaring My Name Is Anthony Gonsalves, and the wonderful love duet Humko Tumse Ho Gaya Hai, Amar Akbar Anthony was a great album whichever way you look at it. No wonder why it won Best Music at the Filmfare Awards and it was amongst the top ten best selling albums in the 70s. Khayyam has done some great Bollywood soundtracks in his career, but there is something about Umrao Jaan that is makes it special and unique, which is why it’s a timeless album after 26 years of its release. Asha Bhosle provides the vocals for Rekha in this album, and one has to say that each song she sings is amazing. From the evergreen Dil Cheez Kya Hai Aap Meri, to the mind-blowing In Aankhon Ki Masti, to the wonderful Yeh Kya Jagah Hai Doston, to the brilliant Justajoo Jiski Thi, to the dazzling Zindagi Jab Bhi Teri Bazm, to the classical Pratham Dhar, to the sweetful Jhoola Kinne Daala and the situational Kahe Ko Byahi, Umrao Jaan is one of the best albums to come out in the 80s. Umrao Jaan’s album is a must for all musical lovers. When one hears of the classic Muqaddar Ka Sikandar, you remember numerous things, however the stand out ones are Amitabh Bachchan superb performance, Rekha dancing to Salaam-E-Ishq and Kalyanji-Anandji wonderful music score. Some might call this album to be Kalyanji-Anandji best score till date, and honestly, one can argue that. Take probably the best and most popular mujra song of all-times Salaam-E-Ishq, everything about this song is flawless, from the singing to the lyrics and the music composition. The other beautiful compositions in this album are O Saathi Re Tere Bina, Rote Hue Aate Hain, Dil To Hai Dil, Pyar Zinadgi Hai, and Wafa Jo. Muqaddar Ka Sikandar has to be ranked as one of the best albums for an Amitabh Bachchan starrer, and was one of best selling albums in the 70s. A magnificent album in its own right. Once again, our favorite romantic director Yash Chopra has another classic soundtrack in the list in the form of Silsila. If I’m not mistaken, this is Shiv-Hari first score in Bollywood, and with this soundtrack, it’s a spectacular effort. Every song is a classic in its own right. Rang Barse still remains the best Holi song ever in Hindi cinema, in fact, when Holi is celebrated around the world, its essential that Rang Barse must be played. The other classic songs in Silsila were Yeh Kahan Aaye Gaye Hum, Sar Se Sarke, Neela Aasman, Ladki Hai Shola, Jo Tum Todo Piya, and Dekha Ek Khwab. In fact, Dekha Ek Khwab is one the greatest duets to ever hit Bollywood. No doubt, Silsila remains Shiv-Hari most memorable score till date. What makes Nagin (1954) memorable was its wonderful music. Hemant Kumar came up with a score that perfectly blends into the theme of the film. Man Dole Mera Tan Dole is easily the best song of the film. In fact, the song was so popular that real snake charmers would use the music of that song in their performance. The other winners in this album were Jaduagar Saiyan, Tere Dwar Khada, Sun Rasiya, Mera Dil Yeh Pukare Aaja, O Zindagi Ke Dene Wale, Sun Ri Sakhi, Are Chhod De Patang, Mera Badli Mein Chhup, Teri Yaad Mein Jalkar, Are Chhod De Sajaniya, and Oonchi Oonchi Duniya. The beauty of Nagin album was that it fits into the narrative of the film perfectly. Nagin remains Hemant Kumar’s best album till date, which is why it was a top seller in the 50s. I can honestly say that the most underrated soundtrack in the 70s was Laila Majnu. In my opinion, this was Madan Mohan best score till date, and it was completely overshadowed at the award function. Come on, not one nomination for this wonderful soundtrack. Every song from Laila Majnu is a gem. From the classic Husn Hazir Hai, to the wonderful Tere Dar Pe Aaya Hoon, to the superb qawaali Hoke Mayus Tere Dar, to one of most beautiful duets of all-times Is Reshmi Pazeb, to the poignant Ab Agar Hum Se Khudai Bhi, to the excellent Yeh Deewane Ki Zid Hai, to the soulful Barbad-E-Mohabbat Ki Dua, and the touchful Likhkhar Tera Naam, Laila Majnu is an winner anyway you look at it. Its surprising to note that all though Kabhi Kabhie, which released the same year, was more popular album till this date, however Laila Majnu album recorded better sales than Kabhi Kabhie. An album to cherish, which will be loved by everyone. The Shanker-Jaikishan – Shammi Kapoor combo had many memorable soundtracks, but Junglee remains their best work till date. It seems Junglee soundtrack still gets more popular as the days goes. Songs like Ehsaan Tera Hoga and Chahe Koi Mujhe Junglee Kahe were huge hits back in 1961 and still remain popular till this date. But, the overall soundtrack is simply great from the start of the soundtrack. The other noteworthy numbers in this album are Kashmir Ki Kali Hoon Main, Aai Aai Sukoo Sukoo, Din Sara Guzara, and Nain Tumhare Mazedar. Junglee remains one of the best soundtracks in the 60s, which is why it was one of the best sellers in the 60s. Nadeem-Shravan was the best music director in the 90s, as they churned hit albums, one right after the other. A strength in Saajan album is melody, as every song is melodious in its own way. From the amazing score, peotic lyrics from Sameer and wonderful singing that is associated in this album, Saajan is definitely one of the best albums in the 90s. The two best songs in this album are Mera Dil Bhi Kitna Pagal and Jeeye To Jeeye Kaise. These two songs make Saajan album a must-have album. While the former is a wonderful romantic duet, the latter is a soulful song. The other great songs are the chartbuster Dekha Hai Pehli Baar, to the full of energy Tumse Milne Ki Tamanna Hai, to the poetic Bahut Pyar Karte Hain, to the joyful Tu Shayar Hai, and to enjoyable Pehli Baar Mile Hain, Saajan is enjoyable album that got its deserving Best Music award that year. People thought Nadeem-Shravan was a one film wonder when Aashiqui album was released, but with Saajan, they prove they were here to stay. Saajan music should be remembered in the years to come. The biggest asset of Madhumati was its magnificent score from Salil Chowdhary. Just like Nagin (1954) where both films were a thriller, the music blends efficiently into the theme of the film. Why Madhumati album remains memorable is its innocence. From the haunting Aaja Re Pardesi, to the wonderful Dil Tadap Tadap Ke, to the superb Toote Hue Khwabon Ne, to the innocent Suhana Safar, to the excellent Chadh Gayo Papi Bichhua. The other great songs are Ghadi Ghadi Mora Dil, Zulmi Sang Aankh, Jangal Mein Mor Nacha and Ham Hal-E-Dil Sunaenge. No wonder both the film and the music especially remains unforgettable till this day. V. Vinod Chopra films always had great music, but 1942 A Love Story remains his best score till date. It was one of the best music directors of all times, RD Burman last soundtracks, and did he make a lasting impression with this album. Every song was backed with wonderful lyrics from Javed Akthar. From the superbly done Ek Ladki Ko Dekha, to the extraordinary Pyar Hua Chup Kaise, to the playful Rooth Na Jana, to the wonderful Kuch Na Kaho, to the excellent Rhim Jhim and the soulful Yeh Safar, 1942 A Love Story is a album that can be identified from both the masses and classes. We wish we had music directors like RD Burman, who can churn out wonderful albums most of the time. In my opinion, the best RD Burman till date. It was this album that made RD Burman a household name. Yes, we did have a bit of a soft rock songs in the past, but Burman utilize it in a modern way (in those days), and create an album for the masses. To the electrifying O Haseena Zulfon Wali, to the riveting Aaja Aaja Main Hoon Pyar Tera, to the delightful Dekhiye Saahibo Woh Koi, to the wonderful Deewana Mujhsa Nahin, to the heart-warming Tumne Mujhe Dekha, to the classic O Mera Sona Re, Teesri Manzil is an winning album from the first song to the last song. It comes to no surprise as it was the most popular album in 1966, and it was a shame that Filmfare didn’t even nominate Teesri Manzil album in the best music category, as it was the rightful winner. Although Guide is a classic till day, it’s the music of Guide which made it unforgettable. Only a maestro like SD Burman, who knows the true value of music, can come up with a memorable score like Guide. Gaata Rahe Mera Dil, Tere Mere Sapne, Din Dhal Jaaye, Piya Tose Naina Laage, Aaj Phir Jeene Ki, Kya Se Kya Ho Gaya, Saiyan Be-Imaan, Wahan Kaun Hai Tera are outstanding in its own right, and you can’t believe that all these great songs are in one album. Disappointed that SD Burman didn’t get the Best Music that year, because Guide album remains an evergreen album and movie till date. I still wonder if there will be another Guide album today in Bollywood. One can honestly say that SD Burman best till date is Aradhana. If one were to list the most popular songs in Bollywood history (let’s say 20 best songs), one can bet that Mere Sapnon Ki Rani and Roop Tera Mastana will make it to the list. Even their remixes are very popular. Those two songs scores in every department in terms of singing, lyrics and musical composition. However, there isn’t two winners, but three winners in the album. The other winner is Kora Kagaaz Tha Yeh Man Mera, which is one of the best love duets ever in Bollywood history. Those three songs makes Aradhana a winner already, however Aradhana had other great songs such as Gun Guna Rahe Hain, Baghon Main Bahar, Chanda Hai Tu Mera Suraj and Saphal Ho Tera Aradhana. A movie that shot Rajesh Khanna to stardom and an album that is memorable then and now. One of the greatest classical albums of the 70s was definitely Pakeezah. Pakeezah is an album that has songs that can stir our emotions very well. The music was done by the immense talented Ghulam Mohammed, and it will be fair to say that Pakeezah is his best album till date. Every song from Pakeezah creates a mesmerizing effect on listeners till this date. From the haunting Chalo Dildar Chalo, to the elegant Chalte Chalte, to the wonderful Inhi Log Ne (this is amongst one the best mujras ever in Bollywood history), to the breathtaking Mausam Hai Aashiqana, to the beautiful Nazariya Ki Mari, to the excellent Thare Rahiyo, to the exceptional Mora Sajan, to the awe-inspiring Teer-E-Nazar, and the poignant Kaun Gali, after 35 years, the album still is amazing and like I mentioned before, it stills upto this day creates an mesmerizing effect on listeners. I can’t believe that Filmfare Awards gave Best Music to the average Beimaan album over the classical Pakeezah. Pakeezah is one of the most superior albums ever in Bollywood, and it’s an album that everyone should have. Thirty years after Kabhi Kabhie release, yet the music still lives with us. What makes Kabhi Kabhie album so memorable? Well for one, Khayyam wonderful score. But, the main asset in Kabhi Kabhie that many albums don’t have (especially in today’s time) is its meaningful lyrics. If you have both meaningful lyrics and amazing score, then the album is a winner in all right, and Kabhi Kabhie proves this theory to the fullest. Yash Chopra is one director, after Raj Kapoor, who knows the significance of excellent music. Some people in the younger generation may ask their elders, what do you consider the best bollywood song ever in history? One can bet their money on the line that most answer will be the title track, Kabhi Kabhie Mere Dil Mein. Both Mukesh and Lata Mangeshkar rendition is superb and Sahir lyrics are meaningful. Khayyam gives us a memorable tune that will be remembered in film history. Other gems are the beautiful Tere Chehre Se, to the beautiful Surkh Jodeki Yeh, to the simple, Mere Ghar Aaye Ek Nanhi, to the evergreen Main Pal…Do Pal, to the melodious Pyar Karliya To Kya, and the tuneful Chahe Chale Churiya, Kabhi Kabhie can easily be ranked as probably the best album to ever come out in the 70s. A Yash Chopra film can never go wrong on their music. While some of their films weren’t good, their music score ranges from decent to excellent, depending on the film. Dilwale Dulhaniya Le Jayenge is their crowning glory. Jatin-Lalit scores the music in this film, and they came up with a superb album with today, it still lingers in people mind. Easily the best song in Dilwale Dulhaniya Le Jayenge is Tujhe Dekha To. It’s easily being ranked as one of the best duets ever in Bollywood history. The other gems in this album are Mehndi Laga Ke Rakhna, Ruk Jaa O Dil, Mere Khwabon Mein, Ho Gaya Hai Tujhko To, Zara Sa Jhoom, and Ghar Aaya Mera Pardesi. No wonder why the Chopras can never go wrong on their music as they always get it right. Barjatyas, most of the time, always has excellent and sweet music. While their film is targeted at family audiences, their other asset is their music. When one looks down the years as the best Barjatyas musical album, Maine Pyar Kiya is that album. Maine Pyar Kiya was released in the last month of 1989, before hitting the 90s decade. And Maine Pyar Kiya has made a huge impact. For one, not only was it the biggest hit of 1989, it’s the biggest hit in the 80s decade. Two, it was the highest selling album in the 80s, which will appeal every age group. Three, it was the beginning of one of the biggest superstar of all-time Salman Khan. Dil Deewana is the piece-to-resistance of this album. Both Lata Mangeshkar and SP Balasubrhmanium sing their version superbly. One of the best songs to ever come out in Bollywood. The other winners in this album are Kabootar Ja Ja, Aaye Mausam Dosti Ki, Maine Pyar Kiya, Mere Rang Mein Rangne Wali, Kahe To He Sajna, and the Antakshri song. Every song is wonderfully done, that you want to hear album a lot of times. The songs are memorable, which make Maine Pyar Kiya one of best soundtracks of all-times. This is easily the best soundtrack that was released in the 90s and the album that put Nadeem-Shravan into top league. Aashiqui is one of the best romantic soundtracks in Bollywood history that every Bollywood lover can reckon with. Each and every song is special in its own right. One can’t say what was the best song in this album, but the top contenders were Jaane Jigar Janeman, Bas Ek Sanam Chahiye, Nazar Ki Samne and Dheere Dheere Se Meri. Each of those songs are provide with great jhankar beats (a typical trademark from Nadeem-Shravan), wonderful lyrics from Sameer, excellent renditions from Kumar Sanu and Anuradha Paudwal. Those four songs are rewind material due to their great melody. The other great songs in this album are Main Duniya Bhula Doonga, Mera Dil Tere Liye, Tu Meri Zindagi Hai, Dil Ka Aalam and Ab Tere Bin. Nadeem-Shravan and Sameer both deserve a pat on their back for coming up with an classic album that is remember till date. In fact, Aashiqui will still be remembered in the years to come. It’s good to note that Aashiqui is the best selling album of all-times. That’s the magic of Aashiqui. Mughal-E-Azam took ten years or more to be made, and with a grand film like this, you have to make sure each and every component is beyond brilliance. And considering that this is Bollywood, you have to make sure that your music is a winner. Naushad came up with a legendary score which can still be heard till this date. Every song has rich lyrics and will excellent rendition from the sings. From the evergreen Jab Pyar Kiya To Darna Kya, to the classic Mohe Panghat Pe Nandlal, to the haunting Mohabbat Ki Jhoothi, to the poignant Aye Ishq Yeh Sab Duniyawale, to the memorable Teri Mehfil Main Kismat Azmaakar, to the heart-warming Bekas Pe Karam Kijiye, to the unforgettable Aye Mohabbat Zindabad, to the brilliant Yeh Dil Ki Lagi, and the wonderful qawaalis Prem Jogan Ban Ke and Shubh Din Aayo Re. It’s really sad that Mughal-E-Azam didn’t get the Best Music at the Filmfare Award because the soundtrack is very rich and very romantic. Mughal-E-Azam is a treasure album that can be played over and over again.